The MINDBODY® app supports all major debit and credit cards, including Visa, Mastercard, Discover, and American Express. Each MINDBODY business, however, can choose which of these payment methods they'd like to accept. 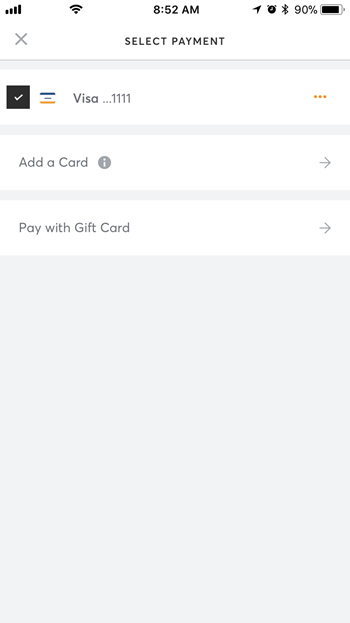 When making a purchase in the app, you'll see a small information icon presented on the payment method screen, beside "Add a card." Tap this icon to see which credit cards are accepted at that location.